Last year, there was much propaganda about the need for embryonic stem cell research (ESCR), which results in destruction of newly conceived human beings, although it has produced no useful cures. Conversely, ‘adult’ (i.e. somatic / non-embryonic) stem cells, which do not require destruction of embryos, have over 70 proven cures. If the pro-ESCR crowd were truly interested in healing people, they would have publicized that. But nothing must detract from the putsch to extort tax dollars for ESCR, because of its major role in dehumanizing the unborn by treating them as commodities. 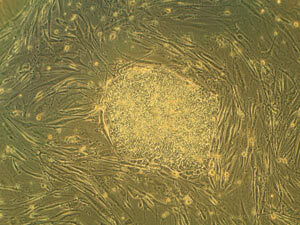 A colony of embryonic stem cells. And there was much tugging at heart strings. For example, the late quadriplegic Christopher Reeve begging for embryonic stem cell research that would supposedly cure him. Ironically, he and his supporters ignored that umbilical cord stem cells enabled a 37-year-old woman in South Korea to walk after 19 years of paralysis. Such stem cells have also grown a small artificial liver, which should greatly help drug testing. Other 2006 successes involving adult stem cells include: SCs from fatty tissue forming into smooth muscle cells—the involuntary type essential to movement of the intestine, blood vessels and urinary tract; SCs from blood that can be directed to turn into five types of cells, including bone, blood vessel and nerve cells; SCs from bone marrow producing the insulin-producing cells which could cure diabetes; SCs from small blood vessels growing new muscle tissue, ideal for treating muscular dystrophy; heart valves have been grown from SCs extracted from amniotic fluid; and heart tissue damaged by an attack has been repaired by SCs extracted from a tiny amount of heart. SC medical research that involves the killing of unborn human beings is not only totally unethical, it is also totally unnecessary. See www.creation.com/stem_cells for original sources and much more information. So despite telling us for ages that creation would lower standards, the antitheists admit that some creationist schools have the highest standards—and that is why they are so worried. The idea of Christians actually being salt in the world, defending the faith and demolishing arguments, is a threat to their atheistic faith (Creation 28(4):6, 2006; <www.creation.com/mind>). That’s why they don’t want to relinquish their monopoly, so they can fail Christian students for refusing to write homosexual propaganda, (www.creation.com/intolerant) or cut off the microphone of the valedictorian (dux) giving her speech when she thanked Jesus Christ (see www.creation.com/christfree.) Make no mistake—they did not remove ‘faith’ from schools, just replaced the Christian faith with the atheistic one. As these and many other cases show, there is no such thing as ‘neutrality’—their ‘neutral’ position is an unstable equilibrium that has turned into hostility. New Scientist 192(2577):20–23, 11 November 2006. 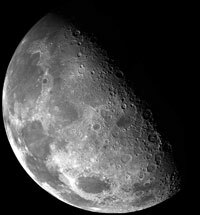 The moon has long been thought to be geologically inactive, with the last of its volcanoes erupting nearly a billion years ago. But researchers studying images and spectrographic readings from recent space probes have found some areas have a ‘freshness’ which they say indicates gas emissions have occurred more recently. This is not the first time that lunar observations have defied previously-accepted long-age ideas of the moon’s history. For further reading on the real age of the moon (6,000 years), see <www.creation.com/moon and Journal of Creation 17(1):5–6, 2003. New Scientist 192(2577):18, 11 November 2006. Nature 444(7116):184–186, 9 November 2006. Margulis goes on to criticise those evolutionists who proclaim with ‘dogmatic certainty’ the ‘tree of life’—she says they are ignorant of ‘alternative topologies’ such as ‘webs’. 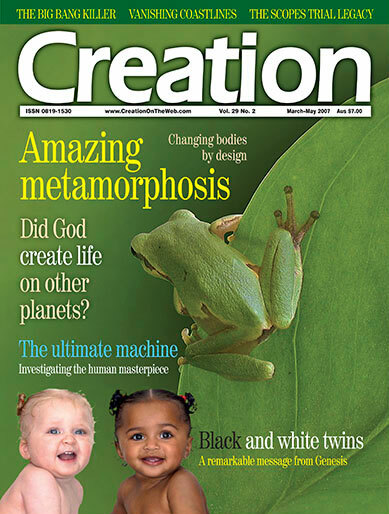 American Scientist 94(3):194, May–June 2006. When you are ill, an elevated body temperature helps the immune system identify the cause of an infection and then eradicate it. A higher-than-normal temperature somehow activates cells in the lymph nodes, resulting in rapid multiplication of lymphocytes that can combat infection. Of course, there was no sickness in the ‘very good’ world before Adam sinned. But even today, it appears that God in His mercy has provided His created beings with features apparently pre-programmed to ameliorate the effects of the Curse. New Scientist 192(2577):17, 11 November 2006. New research has shown that rats can use their two nostrils to localize the source of an odour. This is similar to the way that having two ears enables us to locate the source of a sound. What’s more, rats can locate an odour source in just 50 milliseconds—i.e. within a single sniff. Surely the designers of odour-tracking robots (Creation 26(4):9, 2004) should be impressed (Isaiah 55:9). Science 311(5761):666–670, 3 February 2006. 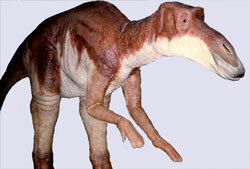 A duck-billed dinosaur fossil found in Montana, USA, is so well-preserved that researchers have been able to study great detail of the animal’s insides. The fossil revealed chewed-up plants in its gut (useful for helping to identify what duck-billed dinosaurs ate) and also more than 200 suspected parasite burrows. The researchers say the burrows were most likely made by tiny worms similar to stomach parasites that infest animals today. Note that such a degree of preservation, where the carcass was not divided and scattered by scavengers but ‘apparently buried before it had a chance to fall apart’ is consistent with having been buried in an unusual event (Genesis 6–9). Note, too, that such a find shows the indefensibility of long-age compromise positions such as that espoused by Hugh Ross (see www.creation.com/plant_death)—did stomach worms afflict this dinosaur in the ‘very good’ world before Adam sinned, or after? (No-one would describe stomach worms as ‘very good’ today, so the obvious answer is: after.) See also our earlier articles on cannibal dinosaurs (www.creation.com/grotesque) and cancer-afflicted dinosaurs (www.creation.com/dinotumour). ABC NewsOnline, www.abc.net.au/news/newsitems/200610/s1772272.htm, 25 October 2006. Genetic analysis has revealed that lemurs that had been thought to be three separate species because of their strikingly different coat colours actually belong to the same species (Microcebus griseorufus). BMC Evolutionary Biology 6:98, 16 November 2006, www.biomedcentral.com/1471-2148/6/98. In reality, man’s attempts to ‘measure’ the age of things will likely fall wide of the actual age—assumptions can never match the accuracy of an eyewitness account. The Bible’s eyewitness account says the stars were made on Day 4 of Creation Week, around 6,000 years ago. 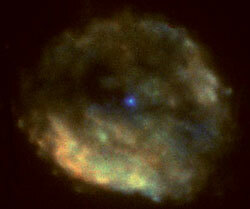 NewScientist.com news service, www.newscientistspace.com/article/dn9495-bizarre-neutron-star-is-old-before-its-time.html, 6 July 2006. Analysis of DNA from living people and of DNA from ancient human remains is ‘startling US anthropologists by linking people thousands of miles and years apart’. From a biblical perspective, they should not be so startled. All people today share ancestry from Adam and Eve, created only about 6,000 years ago. And all people today also share ancestry from Noah, whose descendants have multiplied and spread out across the earth since the Ark landed somewhere in ‘the mountains of Ararat’ just 4,500 years ago. PHYSORG.COM, www.physorg.com/news77213798.html, 14 September 2006. When Syracuse University professor Arthur C. Brooks set out to investigate charitable giving in the USA he did not anticipate what he would find—that religious conservatives are more generous than secular liberals. His findings are documented in a book titled Who really cares: The surprising truth about compassionate conservatism. Brooks cites extensive data analysis to demonstrate that values advocated by conservatives—e.g. church attendance, two-parent families, ‘the Protestant work ethic’—result in conservatives donating far more money than secular liberals to all sorts of charitable activities, irrespective of income. Compare our article ‘You should be feeding the hungry’, <www.creation.com/hungry>. The Post-Standard (Syracuse, NY), www.maxwell.syr.edu/news/online_clips/061029_PS_brooks.asp, 20 November 2006. 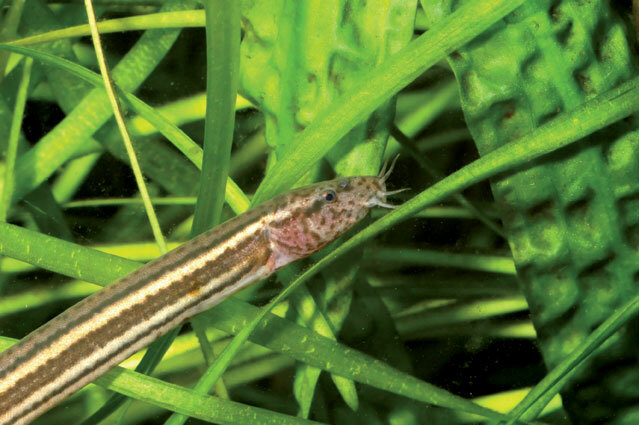 The discovery of a fossil lamprey (Priscomyzon riniensis), which evolutionists describe as looking ‘surprisingly modern’, is forcing a ‘reassessment’ of ideas about lamprey evolution. That’s because it’s said to be 360 million years old, i.e. before lampreys were thought to have evolved. In the words of one evolutionist, ‘lamprey morphology has been astonishingly stable’ [our emphasis]. Christians, however, can take a different view. The fact that lampreys today are just the same as fossil lampreys is no surprise—God created all the various kinds of land animals, birds and aquatic creatures to reproduce ‘after their kind’. And the millions-of-years ideas ignore the biblical account of history—all things were created only around 6,000 years ago. This recently-discovered fossil lamprey dates from the Flood of Noah’s day, around 4,500 years ago—the fact that such soft-bodied (boneless) creatures can be so well-preserved as fossils right around the world speaks of that unusual, global, event (Genesis 7:11). Nature 443(7114):921–924, 981–984, 26 October 2006. 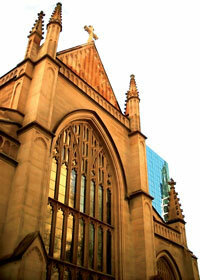 Can a professing Christian organisation be yoked to antitheists in that manner? Not according to Scripture, e.g. Psalm 1:1 and 2 Corinthians 6:14. And one would think that the atheistic bias behind evolutionary thinking would alert Christians of the need to oppose it. New Scientist 192(2572):7, 7 October 2006. The widely-held assumption that the ‘characteristic features’ of the ‘modern’ human mind first evolved between 50,000 and 40,000 years ago needs to be pushed back much earlier, according to Lawrence Barham, of the University of Liverpool. Dr Barham told the British Association for the Advancement of Science that accumulating evidence of early art—which he says indicates symbolic thought and language—points to the evolution of ‘modern’ mental capacities at least 100,000 years before the earliest accepted date. And with the discovery of mixed paints found at the Two Rivers cave complex in Zambia, he even suggests that the ancestors of modern human beings may have been practising art up to 300,000 years ago. Of course all such dating, which presupposes evolutionary origins, is wrong. From the first (i.e. Creation Week, around 6,000 years ago), people were endowed with language and intelligence. There’s an important message here for ‘progressive creationists’ such as Hugh Ross who compromise with secular long-age dates and therefore have had to stretch the biblical timeline past breaking point to place Adam at 60,000 years ago. So, now that those same secular dating methods place ingenious human behavior even earlier, what now? It’s far more logical to trust the Bible’s dates and recognize that secular dates are based on assumptions. See also, Neandertals were fully human in thinking, <www.creation.com/article/4611/>. The Times, 9 September 2006. 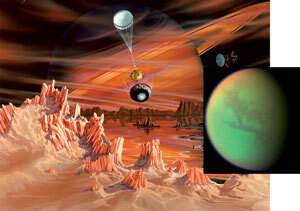 The Cassini–Huygens space probe to Saturn’s moon Titan has given no joy to those who had hoped to find life there. Larger than the planet Mercury, Titan has long been a popular setting for science-fiction tales of human colonization and exploration. But its atmosphere lacks oxygen, its surface temperature is minus 180ºC (-356ºF), and there’s no liquid water on the surface because it’s too cold. NASA researchers say the data show it was unlikely Titan could support life. Red Orbit, www.redorbit.com/news/space/317813/life_on_saturns_moon_titan_unlikely/, 9 March 2006. 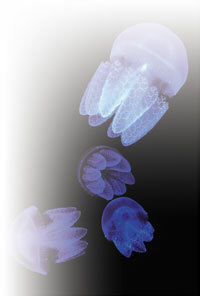 Toxins from several species of deadly jellyfish will be the subject of a world-first study by Dr Jamie Seymour and his colleagues from James Cook University in Cairns, Australia, to extract compounds to treat heart ailments. Virtually all chemicals, even poisons, have an important function in life or human society. For example, Vitamins A and E are critical for life, but highly toxic if taken in high dosages. Nothing is toxic in very tiny amounts, but all chemicals are toxic at sufficiently high levels—i.e. ‘the dose makes the poison’. Compounds which are highly toxic in some situations can be life-saving in others. 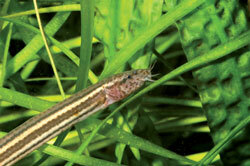 For example, the most poisonous substance known is botulin. It is six million times more toxic than rattle-snake venom. Yet, this toxin is a miracle drug for those suffering from dystonias and other health problems (as well as temporarily curing wrinkles—botox). See also Jerry Bergman’s article, Understanding poisons from a creationist perspective, Journal of Creation 11(3):353–360, 1997, <www.creation.com/poison>. The Courier-Mail (Brisbane), 7 November 2006, p. 12.